Different areas of your garden or landscaping call for different kinds of plants. Groundcovers are an important part of a garden, providing low-lying coverage over large areas or between clusters of other plants. Groundcovers come in various shapes and sizes, some with beautiful and colorful flowers, and some with succulent greens. All of them are beautiful with their own special purpose. But one thing everyone can agree on when selecting a groundcover is choosing one that is easy to plant and maintain. Here are a few beautiful varieties that are simple and non-invasive! 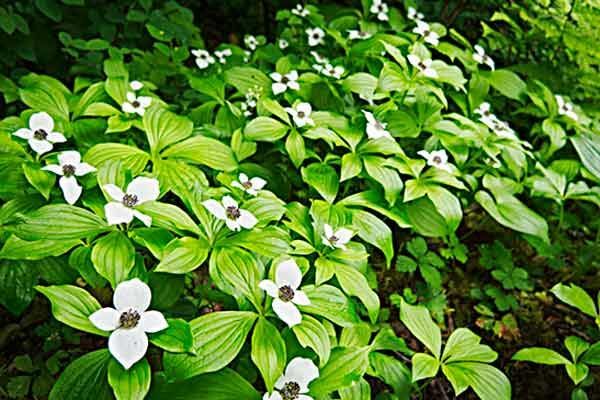 Bunchberry: Easy and adorable bunchberry is a ground cover that looks beautiful well into the fall. In the spring the beautiful green leaves are adorned with small white flowers. Come fall those flowers are joined by red fruits grow and the leaves turn a beautiful bronze. This is a great plant for those who live in areas with changing seasons as it retains its charm beyond the warm months. Vinca: If you are looking for some color that can withstand most climates then choose vinca. The lush, shiny greens are joined by beautiful and bright flowers from spring through autumn. Style it perfectly for your home by choosing between white, purple, or blue flowers. Soapwort: A great summer plant, soapwort is a perfect addition to a garden as a groundcover. The low-lying plant produces tons of beautiful pink flowers throughout the spring while being able to withstand even the most hot and humid summer. Lamium: If you are looking for easy you are looking for lamium. This ground cover is known for its easy installation and maintenance. The beautiful green leaves are enhanced through the spring and summer with bright pink and white flowers. 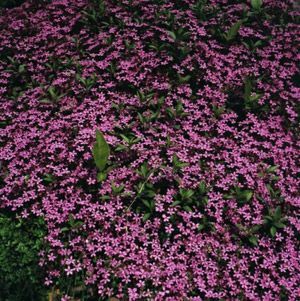 This is a great groundcover for a garden or landscaping, providing a little burst of color without a tons of effort or know-how. Thyme: Well known for its fragrance, thyme is a wonderful garden addition. In addition to its great smell, thyme produces beautiful pink or white flowers during the warmer season. Its foliage is also beautiful adding some much needed green throughout the year. This entry was posted in Blog, DIY, Gardening and tagged gardening, home. Bookmark the permalink.